Below are the 2015-2016 Leadership Participants. Cheri Clavier is the Director of Institutional Effectiveness at ETSU. She and her husband John have two sons, Jackson and Charlie. Cheri is a graduate of Elizabethton High School and ETSU. She received her Masters at the University of Tennessee and returned to ETSU to complete her Doctorate in Education. In her spare time, Cheri loves spending time with her family, paddle boarding and enjoying her children's activities.Cheri is a second generation participant of the Carter County Leadership Program. Terry Hubbard is an employee of the Carter County School system and serves as the coordinator of the special education program. Terry is a graduate of Happy Valley and ETSU where she received her Masters in education. Terry and her husband Lee have one son Josh. 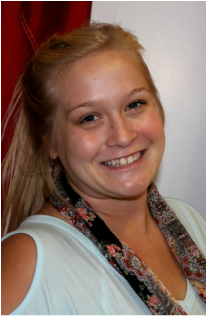 Mrs. Hubbard enjoys spending time on the family farm and is involved with her local church youth. She is a lifetime native of Carter County. Brian Irwin is employed by Snap-on Tools where he serves as the Environmental, Health, and Safety Manager. Brian has been with the company for several months and is a graduate of Alcoa High School in Middle Tennessee. He also attended ETSU. 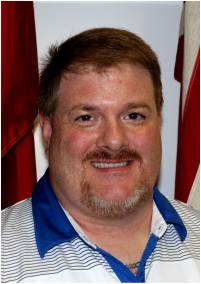 Mr Irwin is an avid sports fan and once played professional softball with a prestigious travel team..
Corey Paulson is and employee of MSHA/Sycamore Shoals where he serves as the Director of Marketing for several East Tennessee counties. Mr. Paulson is a graduate of Edgewood High School in Bloomington, IND and came to the area to attend Milligan College. Corey and his wife Ronda have two children, Sophie and Mac. Sarah Presnell serves as a CPA for Blackburn, Childers, and Steagall. She and her husband Ryan have two children Ryan Jr. and Caroline. Sarah is a graduate of Elizabethton High School and ETSU. She also received her MBA from Carson Newman College. Mrs. Presnell is an avid runner and also enjoys boating on Watauga Lake. Sarah and Ryan are involved in local youth and Ryan serves and the Head Baseball Coach for the Elizabethton Cyclones Varsity team. Tim Shields is an employee of Citizens Bank where he has worked for five years as the manager of Facilities and Security. Tim and his wife Lori have two sons Landon and Christopher. Tim is a graduate of Elizabethton High School and attended ETSU. Mr. Shields enjoys being outdoors and also enjoys cars. Cheri Tinney is the Executive Director of United Way of Elizabethton/Carter County. Cheri is a graduate of Hamblen High School West in Morristown. 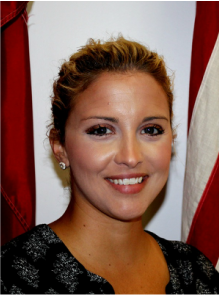 She attended Walters State Community College and attended graduate studies at ETSU. While attending ETSU, Cheri was the President of Honors College. During her college career, she was able to complete four Associate Degrees in two years. In her leisure time, Cheri likes hiking on the Tweetsie Trail with her dog "Lady". Joey Trent is an employee of the Elizabethton City School System and serves as the Director of Personnel and Technology. Joey is a graduate of Daniel Boone High School and ETSU. He also attended classes at Northeast State. Joey is married to his wife Angie and they have two children, Greg and Dustin. In his leisure time, Joey enjoys fishing, hunting, and camping. Joey also races "Late Model Stock Cars". ​Renita Barksdale and her husband Quinton recently relocated to the area after she accepted the position of Librarian at the Elizabethton Carter County Public Library. Renita has an interest in politics and enjoys reading and rollerblading. ​​Thomas Davis is new to the area and works as a financial advisor for Edward Jones. Thomas, which is from Griffin, GA came to the area to attend Milligan College. He has several hobbies and interests. His is married to Valerie Davis.